Affiliated to the Campaign for the Protection of Rural Essex. The Billericay Society works to preserve Billericay's heritage. of architectural or historical interest?" 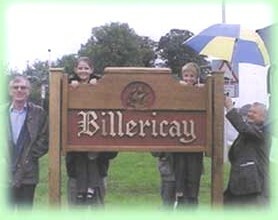 To see the list, click here then enter Billericay in the search field. Sept 2018 - We are sorry to inform you that, after more than 25 years, our Tuesday morning walks have ceased. The main reasons being the drop in the number of people taking part and the high cost of the insurance. A big 'Thank You' to everyone that has been involved over the years.